I just purchased a pair of Pastry POP Tart Grid Adult Sneakers for my grand daughter. She was pretty excited with them. 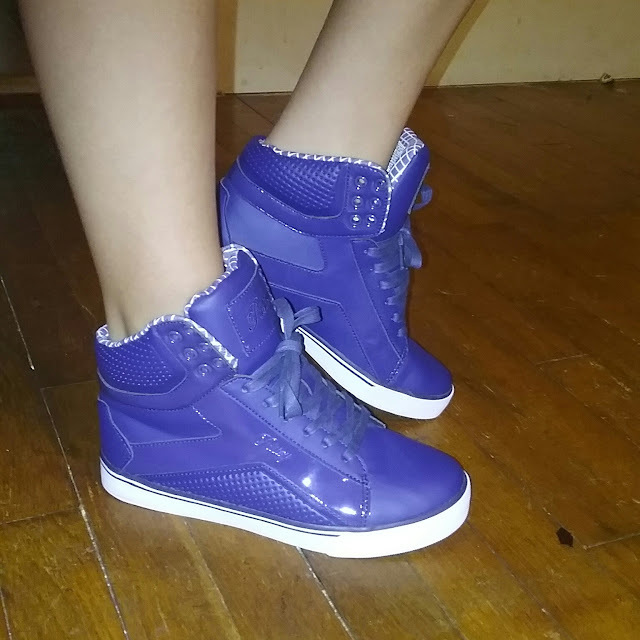 They are dance shoe enspired, really cute and fashionable, not to mention lightweight and comfortable. The ones I ordered are navy blue with matching navy blue synthetic shiny accents on the upper. They appear to be well constructed and durable, with traction rubber outsole. The lace-up front and padded tongue makes for a secure fit. These shoes are very reasonably priced, so I feel like I got a good value for my purchase, a well made shoe that's both cute and at a good price. Win/ win for me, even earned me a few Grandma points with my grand daughter haha. I know how important it is for the kids to feel like they fit in with their friends as far as fashion goes, and I know how important it is to me to feel like I get a good value for my dollars. I believe these shoes fit both categories. With the new school year approaching, I have a feeling I know what shoes are going to be her favorite everyday shoes.